Just Joinery is a small family owned joinery business specialising in custom made architectural joinery and standard timber products including but not limited to timber staircases, timber entry doors, timber bifold doors, timber sliding doors, timber bifold windows, timer sliding windows, timber hopper windows, timber casement windows, timber double hung windows, timber benchtops, timber shutters, and many more timber products. 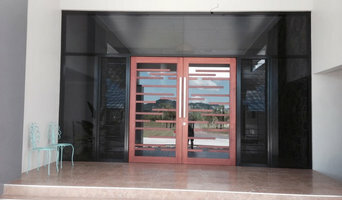 All of our custom made products are constructed in our factory in Mackay by qualified joiners. We can help you from design to completion. All of our jobs are completed to the highest of quality and attention to detail. No job is too big or too small. At Top Shelf Cabinetmaking, we consult with you to find your needs, your style, your envisioned design. From there we will help you turn your ideas into reality. Our work is completed on-site under the one roof. Customer care and satisfaction is our top focus. We guarantee that from concept to completion, you'll be kept up to date with your project. Joinery and cabinet makers are mostly known for their work in kitchens and bathrooms, but their skill set goes much further than that. It is important to understand the difference between carpenters and cabinet makers, which lies in the detail of work. Carpenters tend to work on larger structural projects and this is why many become builders, whereas cabinet makers are masters when it comes to the finer detail. 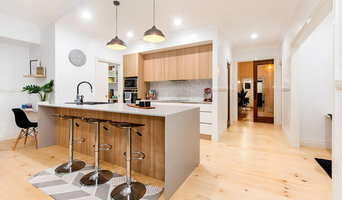 So if you’re looking for detailed woodwork like custom-made furniture for your living room or smart storage solutions, you’ll be sure to find a Mackay, Queensland cabinetry expert in the Houzz directory of professionals. What Do Mackay, Queensland Joinery and Cabinet Makers Do? If you know what you want and are ready to take the next step, scroll through this page to find joinery and cabinet makers in Mackay, Queensland. As mentioned, you can browse their latest projects, read reviews and see how other homeowners rate their work, and message them directly. You can also look through Photos to find examples of joinery you like, then contact the professional who worked on them.